It has been an interesting two weeks. Let's get right to it. St. Frances takes the top spot with two impressive wins over their only threats in McDonogh and Roland Park, who are two and three. The margins are real thin after that. Howard comes in at number 4 with an impressive win over John Carroll and Long Reach drops a bit after getting worked over by McDonogh. Western looked good in their battle with Roland Park but then lost to a tough John Carroll team. Old Mill had their best game of the season against Mt. De Sales so they move up. Poly moves up. I thought they looked good in their loss against NCA. St. Mary's replaces Annapolis Area Christian in the poll. Things have cleared up in the top 3. From 4-10 there are toss up matches throughout. 11-20 is the next tier and more of the same. Some big games will help as Coppin plays Pallotti, Poly visits McDonogh. Old Mill and South River will scrap for Anne Arundel county supremacy. Nyshea is long and athletic and can jump out of the gym. She is improving steadily and has potential to become a big time wing prospect. Vashae played some heavy minutes in their big matchup with Roland Park and the stage was not too big for her.She came up big with 11 points. She's been solid in all the games I've seen so far and Coach Towsend seems to trust her in crucial moments. She's active and engaged on defense and has been getting into the lane effectively. Gourdine's minutes and responsibilities have been increasing with each game. She is a big guard that can score on three levels. We knew she had big time potential coming in and now she's starting to show it. Harley is averaging 9 points, 7 rebounds, 7 assists and 5 steals a game in varsity action. She's a fearless competitor and fun to watch and one of the main reasons South River is contending again in Anne Arundel County. She's small but she can ball. She is a game changer. Quick and gets into the paint at will. She's all heart and pressure moments are never too big for her. Very smart and fearless player. Every team needs a glue type player that can score, rebound and take tough assignments on defense. If you need one this is your girl. I'm not getting into positions and measurables. Just put her on the court. 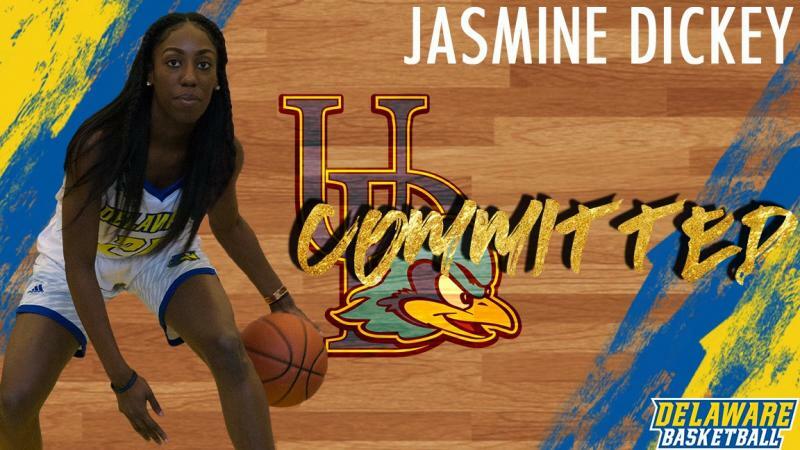 Watch her thrive in the PSAC , CIAA or the CACC. Again, enough with the measurables. This kid has heart and brings it every night. She is undersized for where she plays but it doesn't matter. She gets the rebounds and she scores off the dribble or by cleaning up the glass. Great move for her to transfer from St. Frances to Pikesville. The back court at Pikesville is not nearly as crowded and she is allowed to play through some mistakes and is gaining confidence. A 31 point outburst against Chesapeake and tournament MVP at the Title IX Holiday Tournament speak volumes. She's a combo guard and is shooting the ball well from beyond the arc. She is not afraid to take big shots. 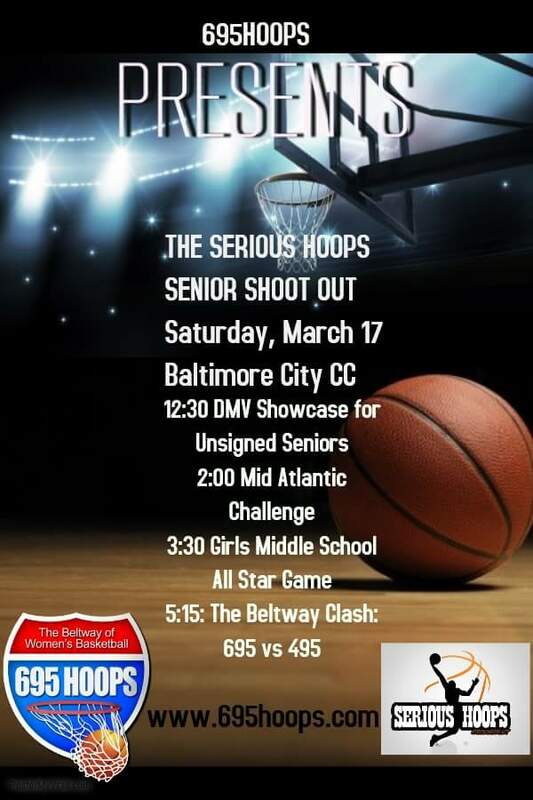 She is a smooth lefty shooter that is putting up some good numbers in Baltimore County. She doesn't need much space to get her shot off and her range is impressive. There is a spot on a college roster somewhere for her. My pre season player of the year is Jasmine Dickey. It was a tough choice but not really. If I was going to Druid Hill Park to run some pick up games and I had to choose four girls I would start with Dickey. She would give me the best chance to stay on the court all day because she does not take plays off or any days off. Angel Reese, Eniya Russell, Makayla Daniels, Lyric Swann and Mir Mclean would be good choices too but call me Team Dickey right now. A player you might not know but will in a couple of months is Marley Grenway of Oakland Mills. Grenway is a slick ball handler and long range bomber. The Baltimore County scoring title should be a duel between Dominique Doss of Franklin and Trinity Horton of Chesapeake. Look for Lyric Swann to lead the whole DMV in "oohs and ahs" with her deep range and slick handle. You want a post that dominates inside? Check out Sydney Faulcon of Old Mill. And don't forget Makayla Daniels who is probably the best player in the 2019 class. All the 2020 love has been going to Angel Reese, Eniya Russell and MIr Mclean, rightfully so. They are all ballers. Look for Charia Roberts of Pikesville to add her name to that list this season. A power forward with a bundle of energy and exceptional athleticism, she is bound to make her mark this season. Kayla Henderson of Coppin Academy moves her feet better than any guard in the area on defense and can score in the paint in bunches. Look for Roland Park's Rain Green to have a big year as well. Aniyah Gourdine was the big catch for the rookie class by St. Frances. Look for her to capture one of the starting spots around the Christmas break. Harley Herndon of South River is another legit freshman and Kayla Cabbagestalk will be a major contributor at Chesapeake. Niyona Smith could push for major minutes at IND and Alexis Kuhlman of St. John's Catholic will be a factor. "C" Conference -- 2:00 p.m.
"B" Conference -- 4:00 p.m.
"A" Conference -- 6:00 p.m.
Class 2A: @ 1 PM. Class 4A: @ 3 PM. Class 1A: @ 6 PM. Class 3A: @ 8 PM. They will miss Mia Davis big time, but Nia Clouden and Angel Reese are both capable of winning player of the year. They have fire power and will score a bunch of points most nights. Junior guard Savawn Hughes has come over from Milford Mill to add depth. Look for Delicia Pinnick to continue in her role as scoring guard. Senior Taneara Moore (Southern) will provide toughness and defense. Super freshman Aniya Gourdine should get heavy minutes. The Panthers are number one until someone else knocks them off. McDonogh returns the core from their 26-4 team that lost in the IAAM championship game last year. Taleah Dixon, Aleah Nelson, Kayla Liles, AJ Davis and Jessica Booth are set to make another run at an IAAM title. The Eagles will need strong contributions from their bench if they want to topple St. Frances. Davis is dealing with a knee injury so let's see if they can hold up until she gets back. The Reds bring back Aniyah Carpenter (Richmond) Rain Green and Ja'Niah Henson to hold down their back court. Those three can hold their own against most back courts in the area. Mir Mclean is one of the best players in the area and she's capable of 20 point 20 rebound explosions. Christian Robinson and Romanian transfer Maria Ferariu will round out the rotation. Coach Buckley will have the team in IAAM contention throughout the season. Senior forward Taylor Addison is the glue and the leader of the team. Senior Courtney Furr (Stoney Brook) will put up points in bunches and sophomore guard Marisa Sanchez-Henry will run the offense. This is a talented and fairly deep team with Deona Jones, long range sniper Camile Malagar and senior transfer Madison Burris from Mt. De Sales. They also have 3 freshmen that could contribute in Emily Durkee, Lauren Cooper and Aliya Robinson. The Comets return 4 starters from their 4A state championship team. That puts them right back in the mix with seniors Jasmine Dickey and Jameila Barret leading the way. Western brings back four starters including seniors Jasmine Walton, Destiny Johnson, Makayla Pickens and Cache Waters. Mackenzie Pollard has transferred in from Milford Mill to provide another scoring option and freshmen Dakota Fisher and Vashae Rideout will push for minutes. Junior Kobie Scott-Pearson will also contribute heavy minutes. Beware of last season's IAAM B conference champs. They are back with a core group featuring Morgan Dombroski, Sara Yoda, Kayla Cooper, Julie Brisbane, Tori Geitner and Mackenzie Holston. They add transfers Lillian Harris (Westminster) and Xhanthi Limber (Clarksburg) who will both have immediate impacts. Freshmen Alexis Kuhlman and Jasmine Lindsay will get solid minutes as well. They will play another tough out of conference schedule and coach Brian Martin should have them back in the IAAM title game in February. Head coach Robb Dubose has a full arsenal with seniors Ja'Lyn Armstrong, Madison Dubose and Brittany Isokpunwu leading the way. Sophomore guard Grace Taylor is joined by transfer Eniya Russell (Coppin Academy) who is one of the top players in the area. Freshman Niyona Smith and Lashrya Williams will man the front court as IND should contend in the B conference. Armstrong is down for a month with a knee maintain in the conference while she's out. The Patriots return all five starters. The key to their season is health as they were slowed by injuries last year. Coming off a 12-12 season they will be led by senior guard Savannah Simmons (Kansas State), Jordan Wakefield and Branyelle Carillo. Sophomore Julia Williams should be ready to take on a bigger role this season. Coach Mike Dukes takes over and they should be greatly improved. Junior forward/center Teylah Saunders is back and has sophomore transfer Charia Roberts (Mercy) right next to her. They will be a problem for most teams in Baltimore county. Senior guard Kayla Jackson has transferred in from Philadelphia to provide stability. Tyra Robinson comes in from St. Frances at the other guard spot. Freshmen Keonte Lewis and Kristen Sterling should get heavy minutes. The Panthers could make a run in 1A. Senior guard Hannah Franklin returns from knee problems to stabilize the backcourt. 6'3" post Sydney Faulcon should have a big season. Briana White and Deja Atkinson will be the keys to how far Old Mill can go in 4A. The defending 2A champion Titans lost some senior leadership but coach Rich Hibbert comes back with some size in sophomore Ajae Petty and transfer Kiki Ross (Franklin). Morgan Anderson and Kiersten Brown are key returners and transfers Jourdyn Ayers (Poly) and Jala Williams should contribute. This is young team of mostly sophomores so look for steady growth throughout the season. Returning sophomores Dasia Townes and Cache Wilson have a year under the belts and will be joined by junior transfer Brashae Rice (Mervo) who should bring some much needed scoring punch. Look for Poly to be right in the middle of the Baltimore City title race as usual. The Sailors went 20-6 last year and made it to the IAAM B conference championship game. They return 5 starters in Allie Berlin, Kristen Zaranski, Lizzie Gower, Abby Kuhn and Syd Skalstad. Transfers Rachel Krug (Dulaney) and Maura Devine (Mt. Hebron) make them a lot deeper. This team can shoot and they launch threes all game. They will also run and attack the rim relentlessly. They will be in contention for another run to the IAAM championship game. New coach Jocara Knight brings back senior guard Jerayza Griffin along with CY Roberts and Jania Hall. In addition he will have freshman Anani Humprhey who looks ready to contribute right away and transfer Larri Sydnor, who is a big physical post that can play. Pallotti will be a lot better this year. Coach Zivic is back with Sophomore Ashlyn Burrows leading the way. Freshman Harley Herndon is the real deal and will put up some numbers. Look for South River to contend in Anne Arundel county. Senior guard Tylea Galloway has transferred from Poly. She is a Delaware State recruit and head Coach Chris Hardy will pair her with sophomore guard Kayla Henderson who is coming off a great summer on the AAU circuit. This team could make a deep run in 1A. Junior wing Trinity Horton will is a candidate to lead Baltimore county in scoring. Freshman guard Kayla Cabbagestalk is a legit day one starter.